★★★★★ 2018 saw a sell out season for this high octane spectacle of "wild stunts, exotic beats, & mesmerising flames, packed full of magical jaw-dropping moments, fuelled by sensual choreography and a wicked sense of humour" Scenestr. 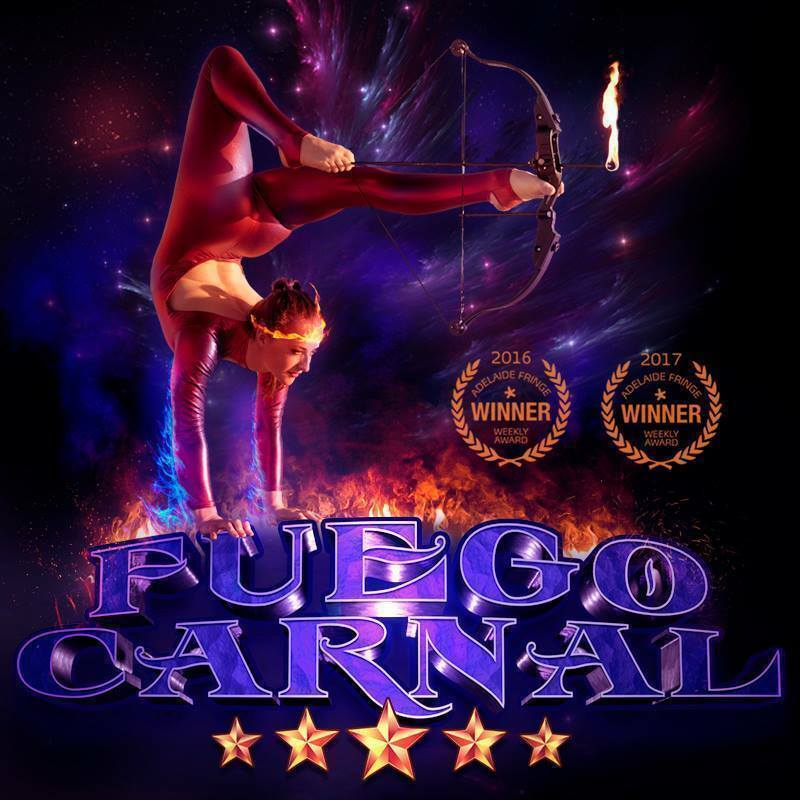 2019 will bring new heat, new surprises and a cast of world first and one off's like no other..
★★★★★ "Fuego Carnal, a fiery feat of daredevil vigour and an absolutely don't miss out, must-see show" Rip it Up! Dream State Entertainment (AKA Dream State Circus) has brought light to the eyes & smiles to countless faces. Husband & wife team Jacob & Sophie McGrath created DSC in 2000, born out of a love and obsession, of the accessible, non-discriminative art of street performance & improvisational comedy. 19 huge years later, over 3900 performances, in almost 40 countries, their art has taken them to some of the biggest festivals on the planet including Glastonbury, Edinburgh, Toronto, and Adelaide many gaining them international awards & recognition. They relish working in some of the most amazing venues globally, and some of the most humble. Innovators of new world entertainment, creating the real, powerful, exceptional and rare in all its forms their passion is enchantingly tangible.